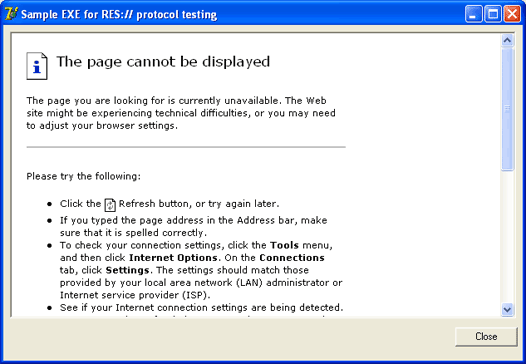 Usually modern applications use standard way to create user interface using buttons, windows and other controls. Considering the growing Internet usage these days it is possible to suppose that end-users spend a lot of time browsing web sites. So it could be a good idea to offer them new applications with user interface built using HTML. More at all, it is very easy! Figure 1. Adding HTML resource. 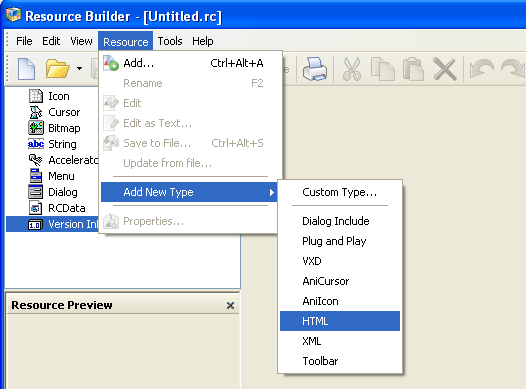 Define the name for resource as SAMPLE.HTML in appeared dialog and click OK button. Figure 2. 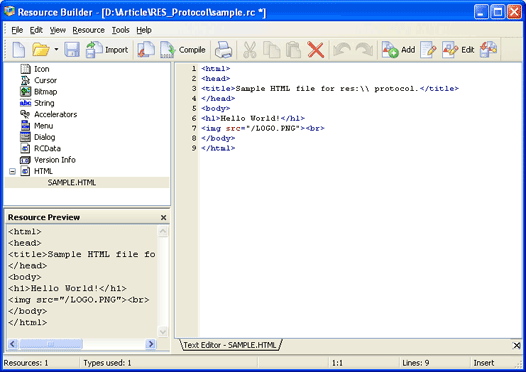 HTML resource sample. Add another HTML resource with LOGO.PNG name and load it from the PNG file on your disk. Select in Resource Builder menu Tools | Create Resource-Only-DLL and specify the file name for DLL. Figure 3. 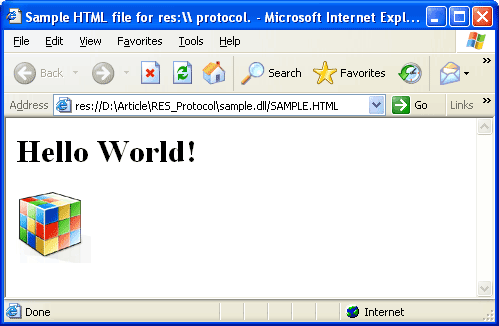 HTML resources in DLL and res:// protocol. As you see there is nothing difficult! Figure 4. Starting application without HTML resources. Figure 5. Application with HTML resources. As you can see we can use links to another HTML resources stored inside our EXE (as well as inside other modules). This allows us to create any user interface we want using the HTML code. More at all, using Resource Builder we can modify HTML and graphical resources of our application even without recompilation. This brings us the powerful and easy solution to update and improve our application as well as to create customized or localized builds.